Life Before the Dinosaurs: Fieldia lanceolata. 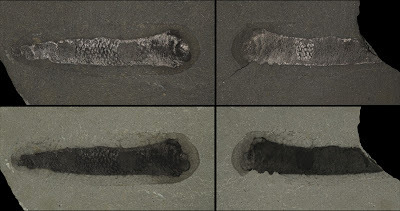 Fieldia lanceolata is an odd species of Burgess Shale priapulid worm covered almost completely in spines. 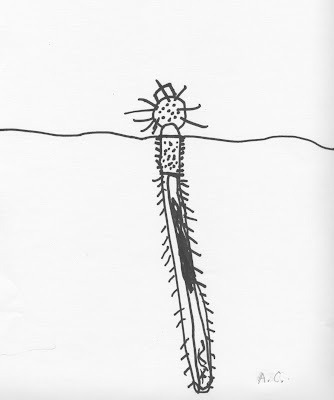 The longest spines were on Fieldia's head and looked like tiny spears. 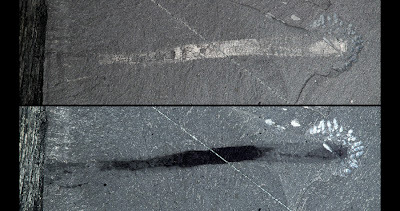 F. lanceolata was about 5 cm long and is the smallest Burgess Shale priapulid worm I know of. 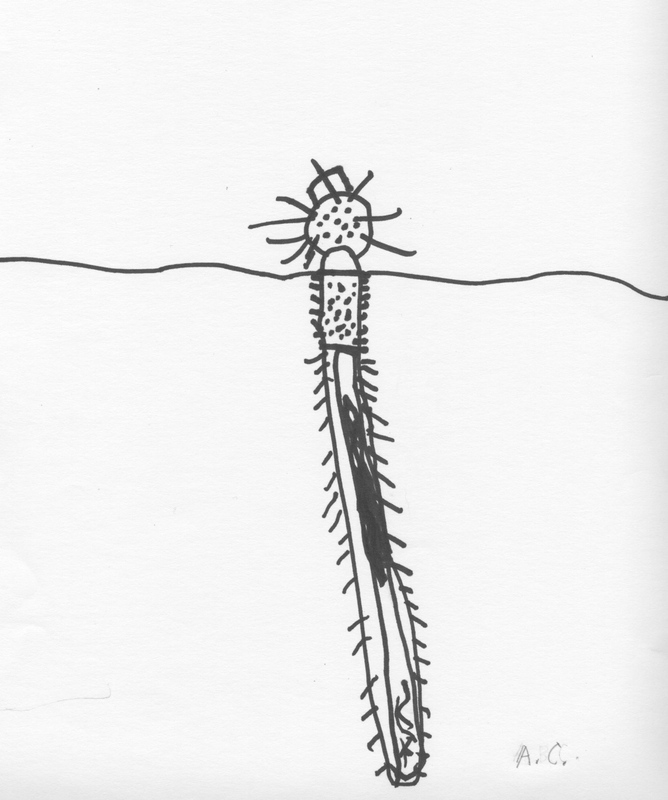 When Walcott found the first specimen of this worm, he thought it was an arthropod carapace. When he later found another specimen of Fieldia, he accidentally classified it as a different animal and called it "Ottoia minor." But the species "Ottoia minor" is now called Ancalagon minor, and is a totally different species than Fieldia, but is closely related in the priapulid stem group Archaeopriapulida. F. lanceolata had a short proboscis that may or may not have been been retractable or bendable like those of other priapulid worms. Its spines may have enabled it to push itself through the mud and burrow, or protect itself from predators. F. lanceolata devoured large amounts of sediment. We know that because some fossils of this worm have large amounts of mud in their gut. My interpretation of Fieldia lanceolata with mud in its gut.